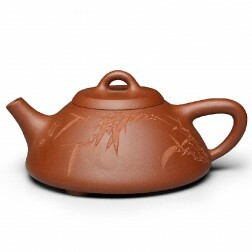 This is one of the most popular Gong Fu teapots in our store. 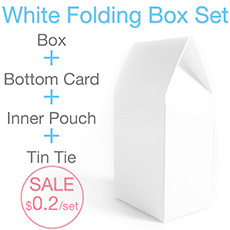 It is handy, classic designed and cost-effective. 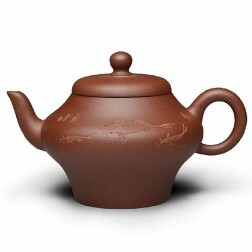 The teapot is made of unglazed clay -Chao Zhou Zhu Ni-Red Clay. 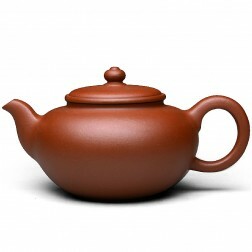 Now we have added a new larger size option besides the previous 110ml small model-a 270ml larger teapot. 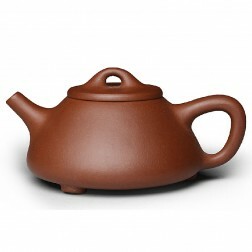 The larger teapot is made of the same material while retains the classic " Eternal Beauty" design. 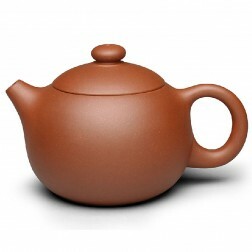 Now we have added a new larger size option besides the previous 110ml small model-a 270ml larger teapot. 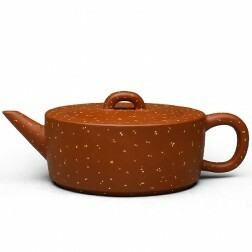 The larger teapot is made of the same material while retains the classic " Eternal Beauty" design. 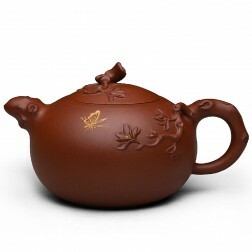 With the larger teapot, you could now share your Gong Fu tea time with your friends and family. 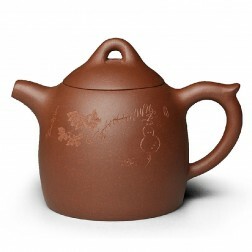 The production process of this teapot is slip casting. Although this processing solution is not as exquisite as hand-molding. 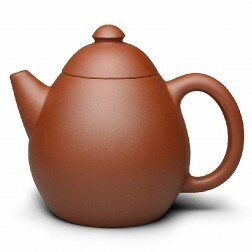 It increased the production capacity and make the teapot very cost effective. It's a good choice for Gongfu tea beginners. 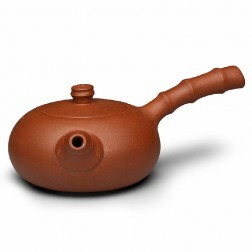 We highly recommend Gongfu tea lovers to keep several Chao Zhou red clay teapots for different teas---Dan Cong teas, Wuyi teas, Tie Guan Yin teas etc. 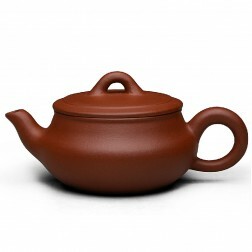 What is Chao Zhou Chao Zhou Zhu Ni(red clay) Teapot? 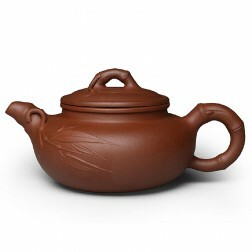 Chao Zhou Zhu Ni literally "Chao Zhou Red Mud" or "Chao Zhou Red Clay" tea pots are made of clay from Chao Zhou Feng Xi, which located in the Feng Huang (Phoenix) Mountain area. 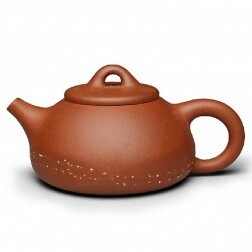 Chao Zhou red clay teapots was also called "Shan Tou Hu---Shan Tou Teapot" by people from Hong Kong and Taiwan. Although it shares the same name---"Zhu Ni" with Yixing Zhu Ni. They are two different materials. 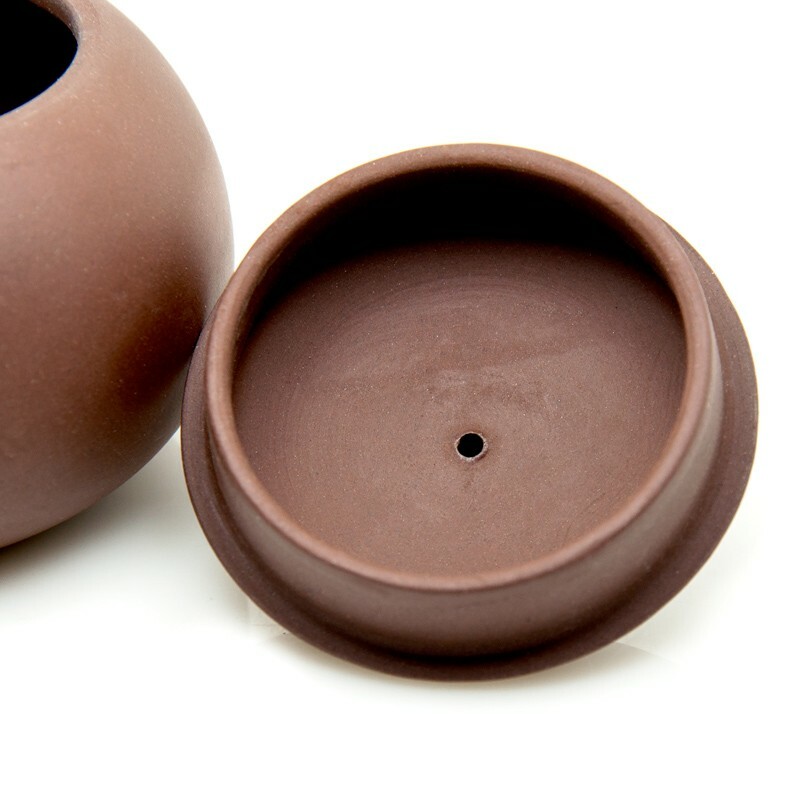 Chao Zhou Zhu Ni(red clay) is a natural, green mineral material that does not contain toxic substances and radioactive elements. The most important feature of the original Zhu Ni material contains high amounts of iron oxide. Was khaki, turn red after firing. 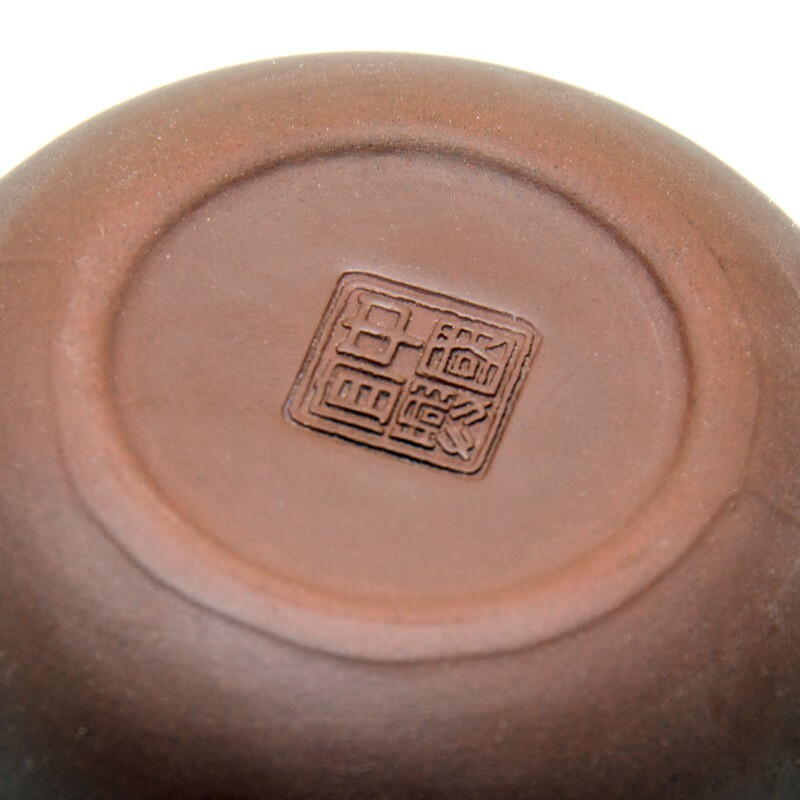 Chao Zhou Zhu Ni(red clay)has delicate texture---solid, smooth, tender without sand. This unique advantage is very suitable to make tea pots. 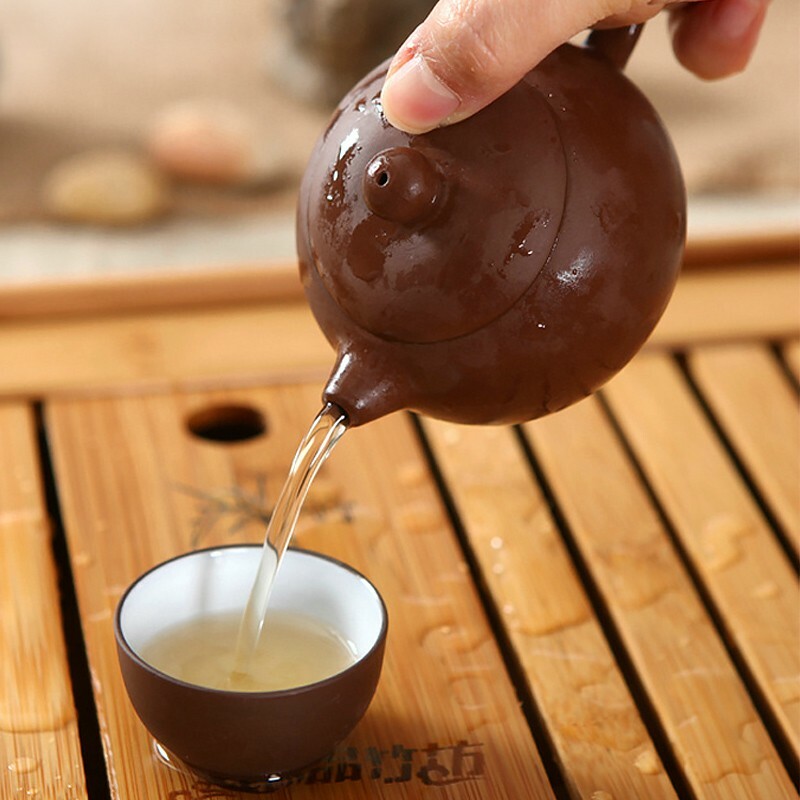 It's grainy material structure is conducive to spread the fragrance of the tea soup. Meanwhile, maintain low water absorption and water permeability. 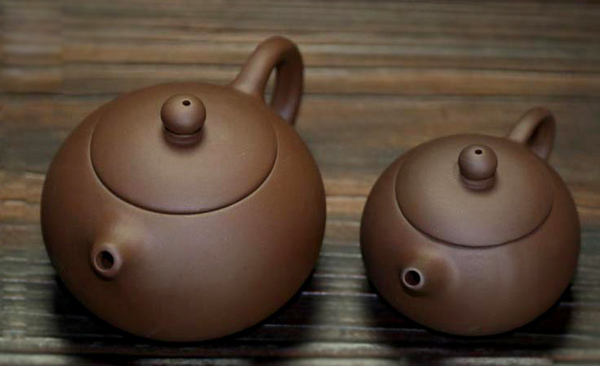 Tea-pots made of Chao Zhou red clay tea-pots are thin, light and handy. 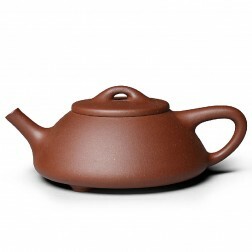 The teapots has good capacity of heat preservation and can tolerate sudden hot and cold difference between 20℃-150℃. 5. Refurbishing, modifying the clay body. 7. Final touching and cleaning. 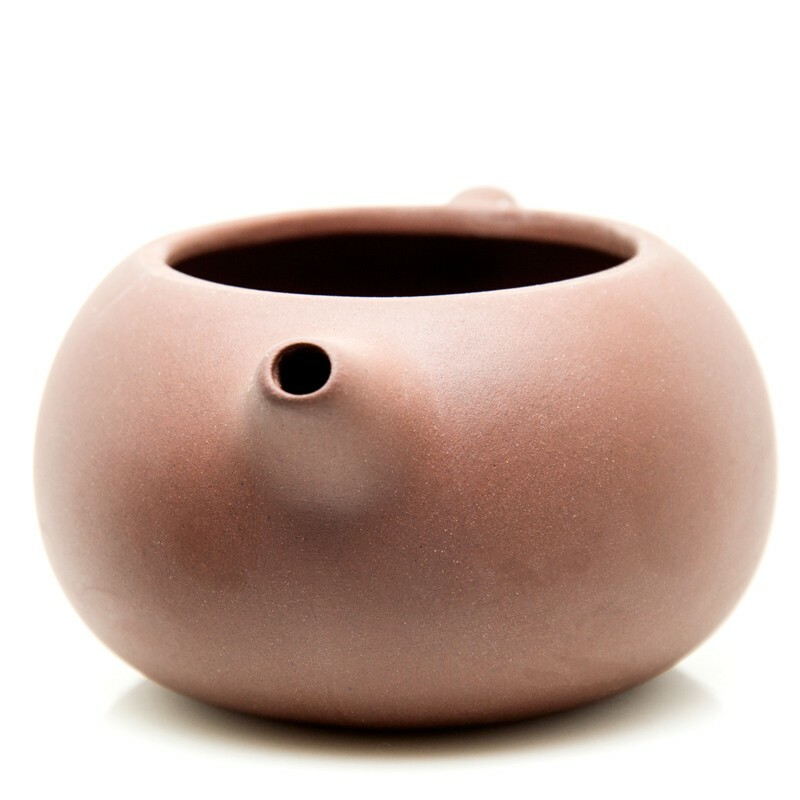 Why use a Chao Zhou clay pot? 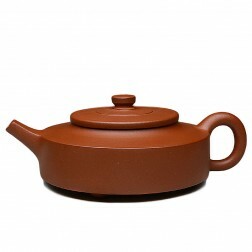 For Phoenix Dan Cong(single bush) teas, Chao Zhou red clay tea pots are preferred over Yixing clay teapots. 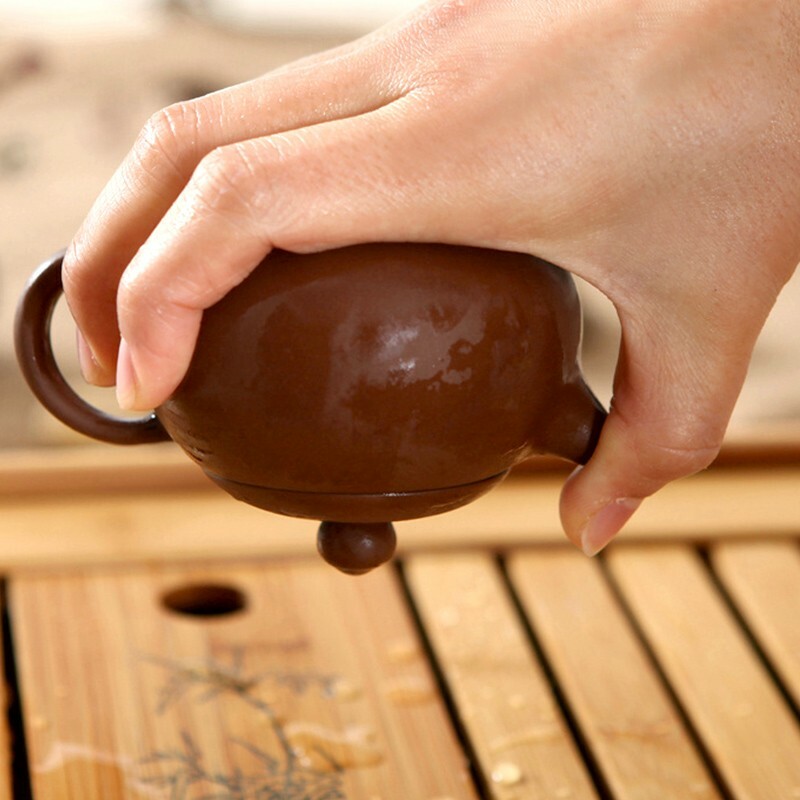 Because it is specially designed for Chao Shan style Gongfu tea ceremony. 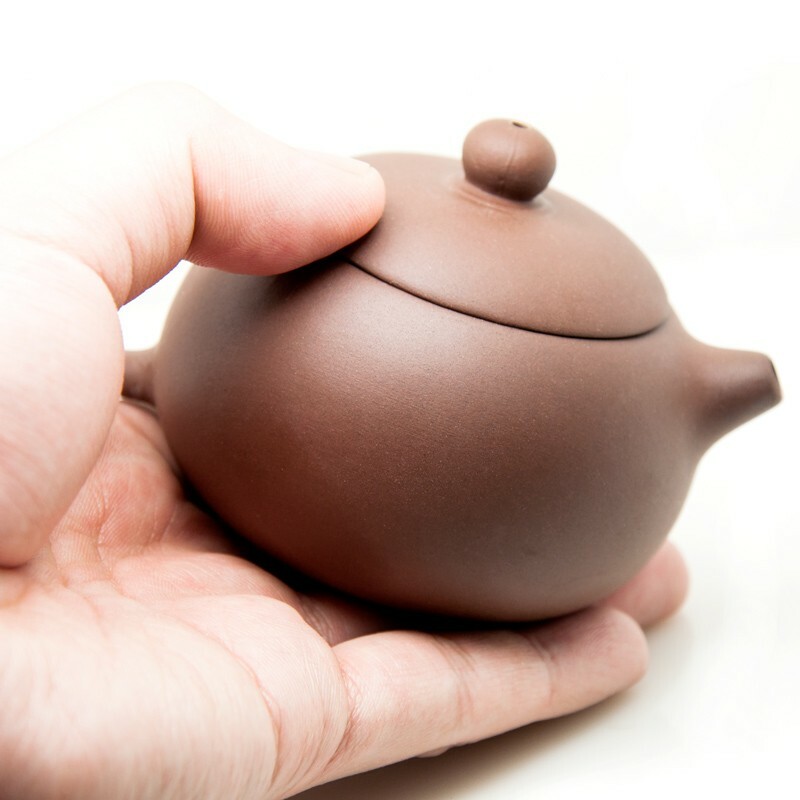 Especially for steeping Dan Cong tea, and most importantly Chao Zhou red clay is mined from the same area that Dan Cong tea grown. 1. 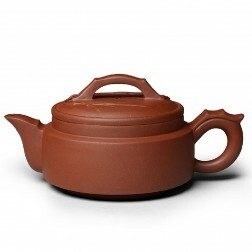 The wall of a Chao Zhou red clay teapot is thin so it doesn't simmer the leaves. 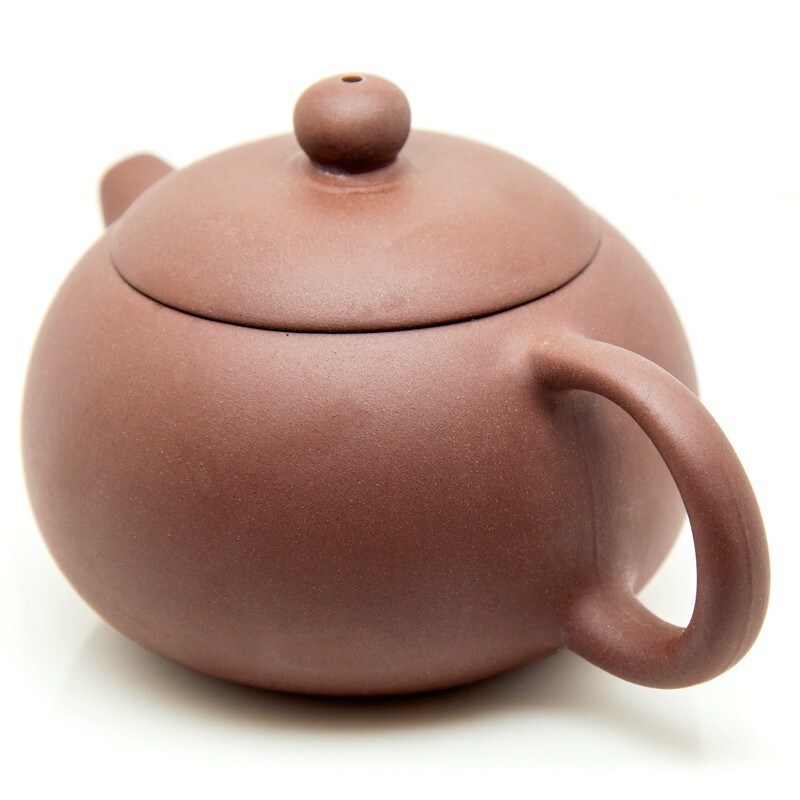 Also it's grainy material structure is conducive to spread the fragrance of the tea soup. 3. It also could be used as a timer! After pouring hot water over the exterior of the teapot, it takes some time for the teapot to be dry again. This period is just the right time for the first 2-3 infusion. 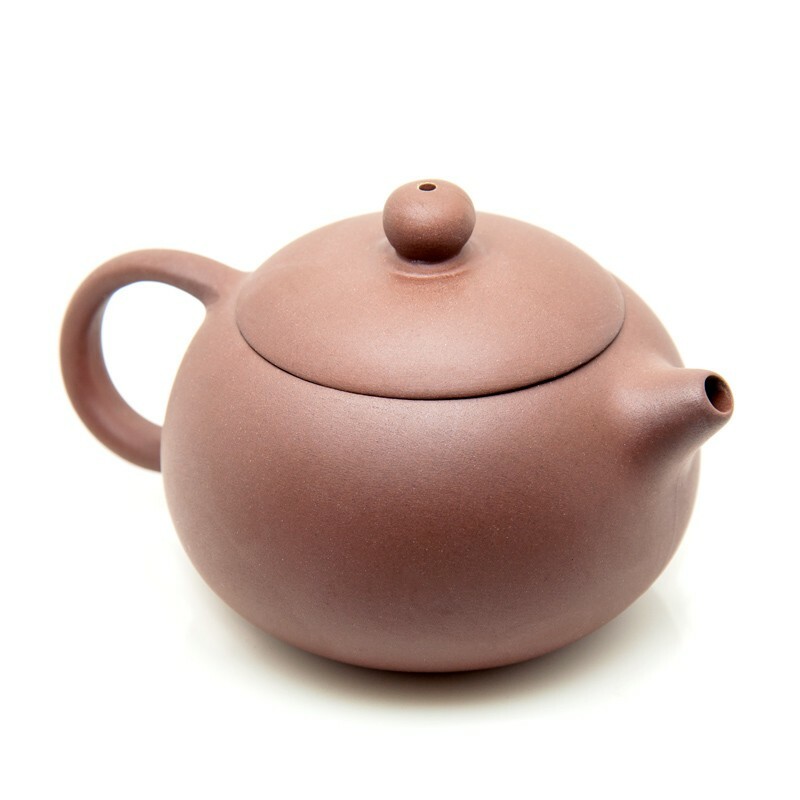 Using a new Chao Zhou red clay teapot for the first time, which is called "Kai Hu". 1. Separate the lid and the teapot body then place it into a container(pan,pot etc. ),covered with water and brought to a boil. 2. When the water is boiled, add tea leaves into the container. 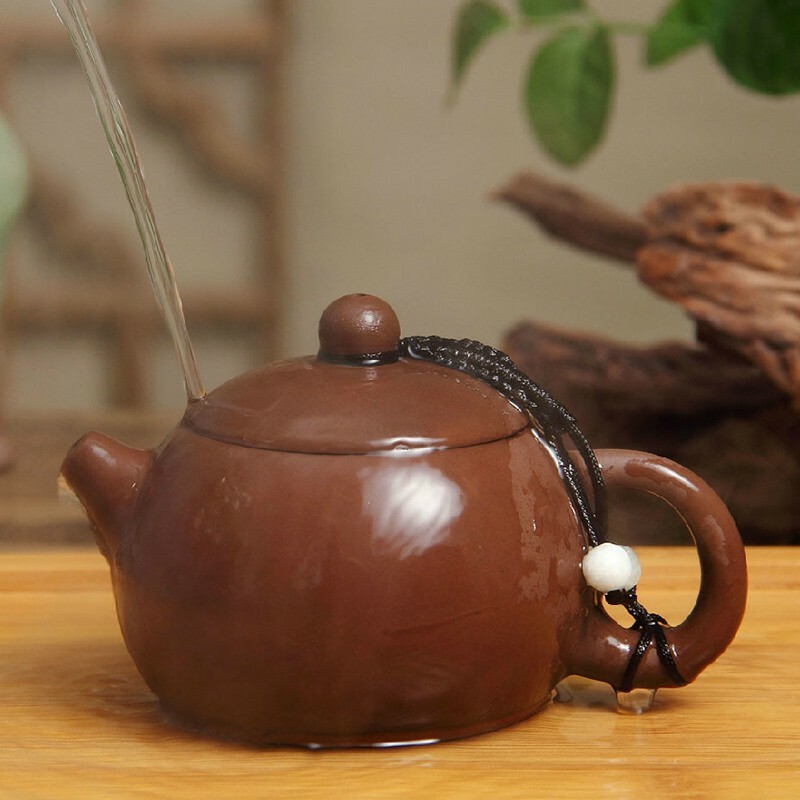 If you decide to use this teapot to steep Dan Cong tea then use Dan Cong tea leaves for this brewing. 3. Continue to simmer the teapot and the tea leaves very gently for 5-10 minutes. 4. Take out the teapot and scrub the teapot with the tea leaves just brewed. 5. Finally, clean the teapot with warm water then dry it. Now, the teapot is ready to use!